Kernan Asphalt Sealing is a 10 year plus old company dedicated to providing a cost effective solution for your pavement maintenance needs. We are fully insured and and guarantee quality work. 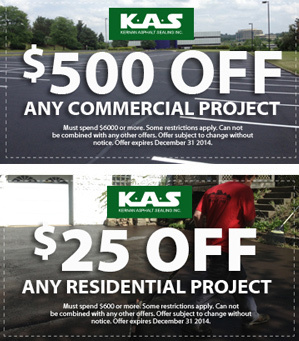 Kernan Asphalt sealing provides FREE estimates on all projects. We provide the high-end asphalt sealing, maintenance and construction services.